We indicated that, based on Fitzgerald’s presentation at the EPA conference, it was unclear how proactive with its advice the Council would be. We now have the First Report (November 2016) from the Council and the answer is: Not very proactive. 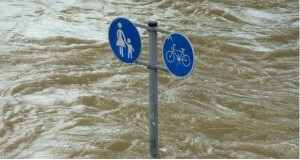 The CCAC Report covers the basics of climate change science, the status of climate change actions undertaken so far in Ireland and globally, and what further is needed. It is an initial, preliminary assessment just setting broad outlines. Ironically, or perversely, the Appendix turns out to offer more substance that the core of the report itself. Unfortunately most people do not read Appendices, other than policy wonks, academics and a few journalists. At the outset, in the first paragraph of the Report, the Council forewarns us that it will not step outside a narrow view of its role when it firmly states: “The Council does not make policy: that is the role of government.” At i. Of course the government will make climate change polices, but the Council is quite capable of advising and indeed of influencing and shaping those policies. But only if the Council takes a proactive role offering the government specific steps it needs to take. While the government, and the economic sectors, have the responsibility to develop a national mitigation and adaptation plans, it seems clear that the national and local governments do not have the expertise or political will to actually take the steps necessary to control climate change. The economic sectors have vested interests that narrow their views of what is necessary. That’s why we need the Advisory Council – to help the governments and sectors along with clear directions and road signs. The Council’s reticence is particularly unhelpful since many of the directions and signs are familiar but not followed. 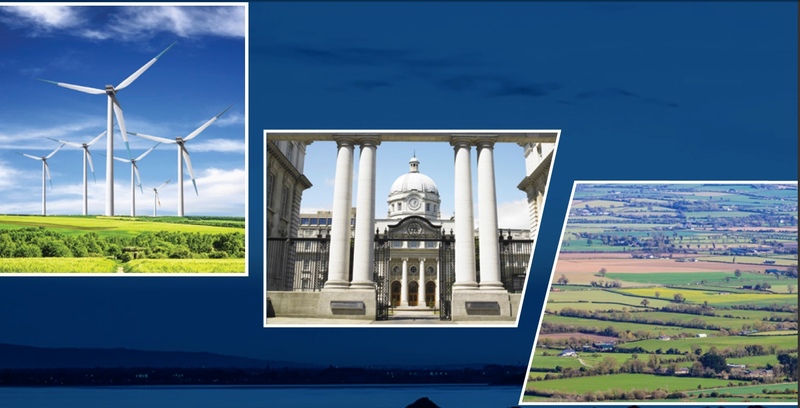 The Report’s Executive Summary ends with the acknowledgment that Ireland is not going to meet its 2020 GHG emission targets, making it very difficult to meet its 2050 targets. It adds the admonition: “There is an urgent need to enhance implementation of existing policies and measures and to identify additional policies and measures to return the economy to a path towards sustainability.” The several sentences neatly capture the basic thrust of the Report: a tone that stresses the shortcomings of the government on climate change action, but little substance offered to the government on what specifically the government needs to do to overcome these shortcomings. Calling for “additional polices and measures” is not particularly instructive. The tone is critical of the government’s inaction as reflected by the language: delaying actions; progress is at best mixed or limited; enormous challenge; considerable concern; urgent need. The shortcomings are well-known, and of long-standing. The way the Council handles several key climate change issues — carbon pricing, agriculture and transport — reflects this hole in the middle of the First Report. On carbon pricing, the Council states the obvious: we need a price on carbon if we hope to control run-away GHG emissions. There seems to be no reason why the Council could not have advanced the conversation, and progress on climate change, by recommending specifically what the government needs to do with a carbon tax. The Council is well-stocked with experts on economics and climate change for whom carbon pricing mechanisms are second nature. On the troubling agriculture sector the Council points out in Figure 3, and the accompanying text, that it is not possible to project how the economy is going to get to carbon neutrality for agriculture and land use by 2050. In particular, the council acknowledges that, “Neutralising or balancing emissions of non-carbon dioxide greenhouse gases [i.e., methane] represents an enormous challenge. Because of the complexity of this challenge and uncertainty about how this will be achieved, it is not shown graphically in Figure 3.” Parentheses added. At 12. A recent report on Smart Agriculture, and commentary in general, have acknowledged the lack of any sense of how the expansion of the agriculture sector, through Food Harvest 2020, can be pulled off at the same time that GHG emissions must be reduced. Equally mystifying is who is going to have to reduce their GHG emissions to balance the growth in GHGs from the expansion of agriculture, or where the funds are coming from to pay for this expansion. While it is accurate that further research is required to address some aspects of this dilemma, there is still lots of room for advice from the Council on this problem. Certainly, one could advise the government that expansion of agriculture should be allowed if and only if, and not until, the sector actually reduces methane emissions. Likewise with transport, the Council cites a few clear instances of tax changes that can beneficially affect transport emissions, but the best it can recommend is that a price signal is needed and that wider health and societal costs should be considered in transport policies. That’s not a lot of help to the government, or to us. Occasionally the Council ventures out of the closet and actually offers concrete advice. For example, with regard to fossil fuel subsidies, the Council focuses on peat-fired electricity generation and advises that the subsidy should be phased out earlier than the current 2019-2020 deadline, and that communities adversely affected should be supported. A number of other subsidies could have been identified and advice given on the nature and scope of any such support. As noted above, the Appendices do provide some helpful material. Appendix 1 highlights the impacts from non-CO2 GHGs and air pollution and why these need to be addressed as part of climate change policy. Appendix 2 provides some further analysis of the challenges in achieving carbon neutrality in agriculture and forestry by 2050. It also notes, importantly, that it must be proven that CO2 can be removed from the atmosphere if methane and nitrous oxide emissions from agriculture are to stay steady or even rise. 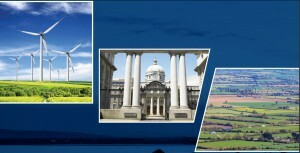 Appendices 3 and 4 contain letters from the Council to Minister Naughten of the Department of Communications, Climate Action and Environment. Appendix 3 offers some specific advice on the then-pending review by the EU of the Emissions Trading Scheme (ETS), strongly recommending a minimum price for ETS allowances. In Appendix 4, in response to a letter from the previous Minister, the Council offers some general principles to follow for the National Adaptation Framework (NAF). The principles themselves are not new but at least the Council takes a proactive stance in encouraging the government to implement them. For instance, the council advises that “Taking a ‘least cost’ approach may not always be appropriate and the longer-term economic, social and environmental benefits of adaptation actions must be reflected in any decision making framework.” At 36. The First Report from the Council limits itself to some broad generalizations about climate change and what is needed, with few concrete ways to get the government to do what is clearly needed, and already known. There is no sense of urgency in the Council’s approach. Instead it chooses to sit by waiting for the government to propose a mitigation plan. Yet the Council knows, as we do, that the government remains hesitant, reluctant and at times antagonistic when dealing with climate change, especially regarding impacts on the growth of agriculture. The EPA seems to feel its hands are tied from pushing the government, and indeed that may be because the government controls EPA’s budget. So there was some hope that the Council would provide the necessary impetus to encourage, shame or push the government to do what is needed. Hopefully the next Report from the Council will offer more. The government needs all the help it can get, and more than it realises.